The occupation of Langborough Barn on EDF’s Hinkley Point Development site came to an end today, as over 20 Bailiffs and 10 police officers began the eviction at 6am this morning. It took around three hours for them to remove the Barnstormers. Somerset calling. It’s time for action. We urgently need activists to help defend a farmhouse that has been squatted to stop EDF Energy trashing land for a new nuclear power station in Somerset. 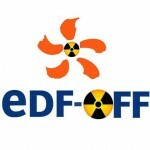 Anti-nuclear campaigners have been joined by members of Seize the Day as the first residents of Edf-Off Cottage next to Hinkley Point nuclear power station. The first wave of NVDA activity started last week in freezing weather when three people occupied trees as part of the campaign against two new mega-reactors being built on fragile coastal land.